So far this week, we have seen the most dangerous volcano in Mexico erupt, and three major volcanoes in Indonesia all erupted within the space of just 72 hours. 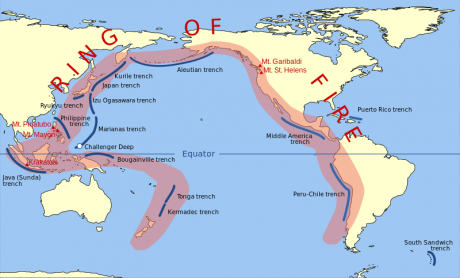 Mexico and Indonesia are both considered to be part of “the Ring of Fire”, and all along the perimeter of the Pacific Ocean volcanoes are starting to go off like firecrackers right now. According to Volcano Discovery, 25 volcanoes in areas that are considered to be within the Ring of Fire have erupted recently. Our planet appears to have entered a time of increased seismic activity, and those the follow my work regularly know that this is a theme that I revisit repeatedly. Sadly, most Americans are not paying too much attention to this increase in seismic activity, but the truth is that it has very serious implications for the west coast of the United States. Residents of Mexico City woke this morning to find ash coating cars and buildings after the Popocatepetl volcano belched out another toxic cloud. The volcano is considered one of the world’s most dangerous due to its proximity to the city with more than nine million inhabitants. Around 25 million people live within 62 miles of the crater of the 5,426-metre magma mount, who could also be affected. There are fears the peak is building towards a major disastrous eruption after activity increased over the past few years, although, it has been periodically erupting since 1994. Giant clouds of ash engulfed the skies as Mount Sinabung became the third volcano to erupt in Indonesia, in the space of just three days. Mount Rinjani on Lombok island near Bali erupted on Monday, with the Sinabung volcano on Sumatra island and Mount Gamalama in the Moluccas chain of islands following suit late yesterday. There are approximately 130 active volcanoes in Indonesia, but this is still very unusual even for them. But of even greater concern for Indonesia (and for the rest of the planet) is the magnitude 5.8 earthquake that shook Mount Tambora on July 31st. Back in 1815, an eruption at Mount Tambora was the largest that has ever been recorded, and there are concerns that this recent very large earthquake may be a sign that another mega-eruption is on the way. With an estimated ejecta volume of 160 km3 (38 cu mi), Tambora’s 1815 outburst is the largest volcanic eruption in recorded history. The explosion was heard on Sumatra, more than 2,000 km (1,200 mi) away. Heavy volcanic ash falls were observed as far away as Borneo, Sulawesi, Java, and the Maluku Islands. The following year became known as “the year without a summer” because the global climate cooled down so dramatically. There were crop failures all across the northern hemisphere, and as a result the world experienced the worst famine of the 19th century. Someday, there will be another eruption of that magnitude at Mount Tambora or elsewhere along the Ring of Fire, and the world will experience another horrifying famine. And let us not forget that the entire west coast of the United States also sits along the Ring of Fire. In my novel and in my new book I warn about the coming eruption of Mt. Rainier. But that is certainly not the only volcano on the west coast that we need to be concerned about. In recent months there has also been increased seismic activity at Mt. Hood and at Mt. St. Helens. We have been very fortunate not to have had any major volcanic eruptions in the continental United States since the eruption of Mt. 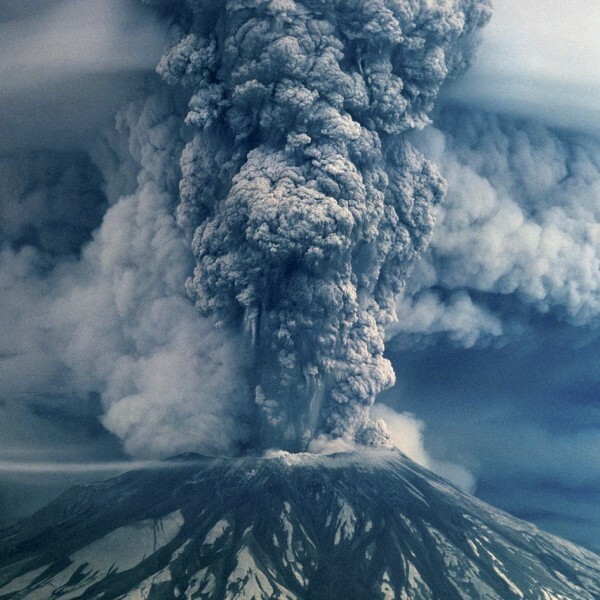 St. Helens in 1980, but scientists assure us that we are well overdue for the next one. In addition, the Yellowstone supervolcano may not be considered to be directly along the Ring of Fire, but it has also been exhibiting very strange behavior this year as well. When it finally erupts, all of our lives are going to change in a single moment. So there are definitely some big reasons why we should be concerned about all of these volcanoes that are currently erupting around the world. It may not be tomorrow, but eventually Americans are going to see firsthand how a major volcanic eruption can permanently alter their lives. 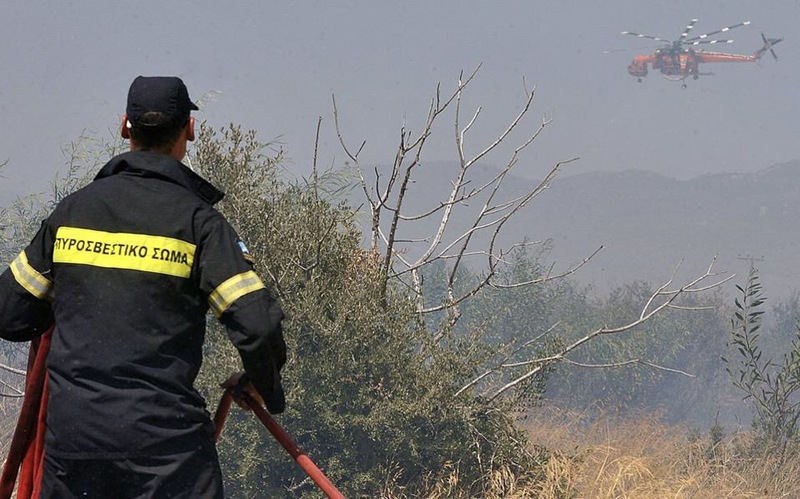 Greece has declared a state of emergency on the Aegean island of Chios, engulfed by a wildfire raging out of control, authorities said on Monday. It is starting to look more than just a little bit “apocalyptic” out there. If you follow my work closely, you already know that weather patterns in the United States have been going absolutely crazy and that last year was the worst year for wildfires in all of U.S. history. Well, this week things have gotten even worse. A “heat dome” has brought triple digit temperatures to much of the country, and an “unprecedented” wildfire is ripping through the hills north of Los Angeles “like a freight train“. The so-called Sand Fire started on Friday, and since that time it has been burning 10,000 acres a day. An acre is approximately the size of a football field, so that means this fire has been burning the equivalent of 10,000 football fields every single day, and it is only “10 percent contained” at this point. A major hailstorm wiped out thousands of birds over the weekend, so Utah Division of Wildlife Resources officials went out to assess casualties, Monday. Experts say the lucky birds were able to take cover under bridges along the Antelope Island Causeway, but unfortunately 9,000 of them simply did not have time to get there. “They’re very small, very delicate,” explained John Neill, Avian Biologist for the DWR. Neill says that is why flock after flock of Red-necked Phalaropes dropped from the sky during the storm, Friday. He says the migratory birds were likely heading to Northern Canada or Alaska for breeding season. “Great Salt Lake’s a very important fuel stopover for them… it’s just a coincidence that the birds were here and the storm came at the same time,” Neill said. Over the last 8 weeks, there have been over 130 earthquakes formally located by the Pacific Northwest Seismic Network and many more earthquakes too small to be located. The earthquakes have low magnitudes of 0.5 or less; the largest a magnitude 1.3. Earthquake rates have been steadily increasing since March, reaching nearly 40 located earthquakes per week. These earthquakes are too small to be felt at the surface. The magma chamber is likely imparting its own stresses on the crust around and above it, as the system slowly recharges. The stress drives fluids through cracks, producing the small quakes. 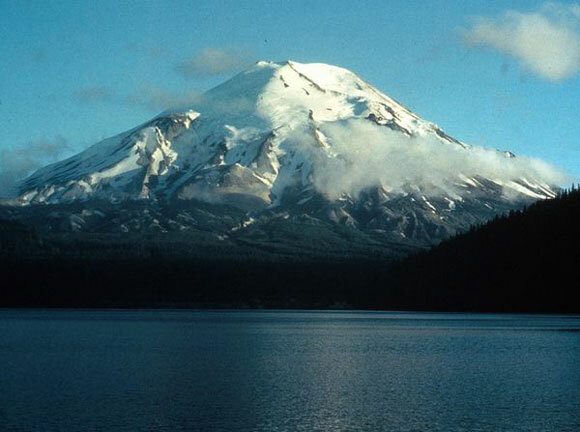 The current pattern of seismicity is similar to swarms seen at Mount St. Helens in 2013 and 2014; recharge swarms in the 1990s had much higher earthquake rates and energy release. … new magma is rising up underneath St. Helens as it slumbers. As the magma intrudes, it imparts pressure on the rock around it and it heats up water/releases gases that can add to that pressure. This generates small earthquakes as the rocks shift in response to that stress. No anomalous gases, increases in ground inflation or shallow seismicity have been detected with this swarm, and there are no signs of an imminent eruption. As was observed at Mount St. Helens between 1987-2004, recharge can continue for many years beneath a volcano without an eruption. It’s not always easy to keep the seismic network in the Cascades up and running. 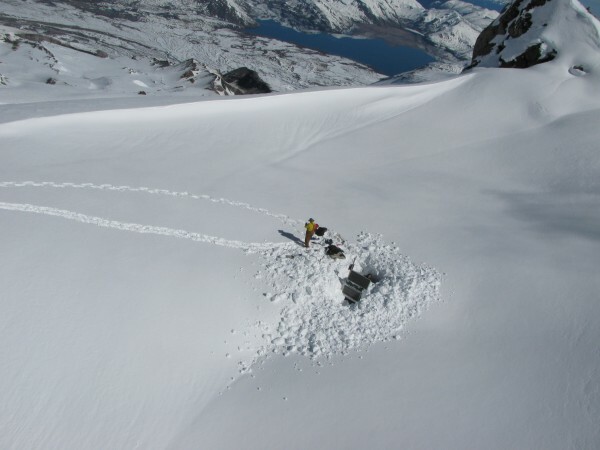 USGS technicians Kelly Swinford and Amberlee Darold are shown here digging a Mount St. Helens seismic station out of the snow on March 30, 2016. Photo via Seth Moran/ USGS. Mount St. Helens photographed seven years before the 1980 eruption. 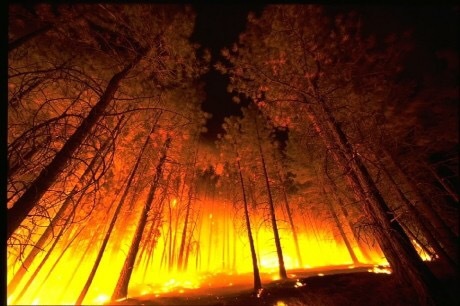 Image via U.S. Forest Service. Mount St. Helens photographed two years after the 1980 eruption. Image via Lyn Topinka, U.S. Geological Survey. …killed 57 people, nearly 7,000 big game animals (deer, elk, and bear), and an estimated 12 million fish from a hatchery … [and] destroyed or extensively damaged over 200 homes, 185 miles (298 km) of highway and 15 miles (24 km) of railways. Mount St. Helens is 96 miles (155 km) south of Seattle, Washington, and 50 miles (80 km) northeast of Portland, Oregon. The video below features scientists talking about their experiences during the 1980 eruption. 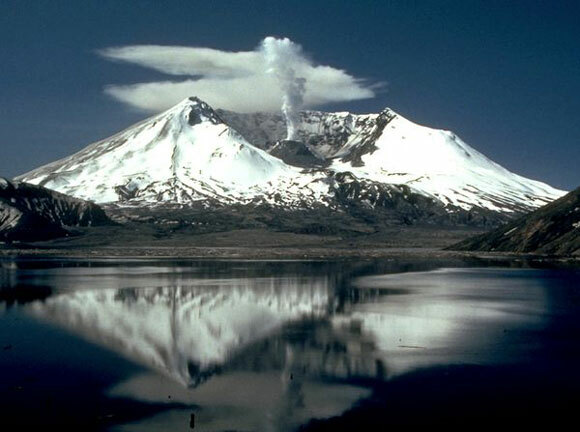 For more information, see the Activity Updates for Volcanoes in CVO Area of Responsibility and Earthquake Monitoring at Mount St. Helens. 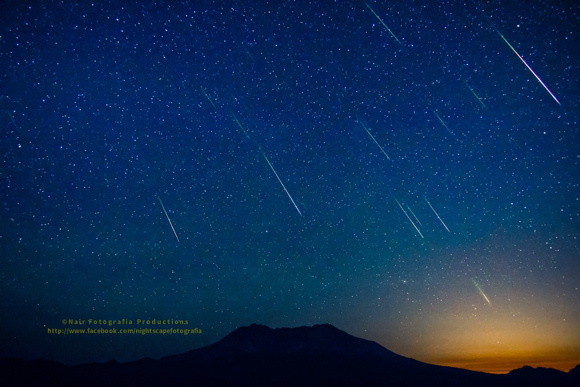 Meteors over Mount St. Helens. Nair Sankar created this image from a blend of 15 exposures during the 2015 Perseid meteor shower. Bottom line: The U.S. Geological Survey reported on May 5, 2016, on the large number of small earthquakes occurring beneath Mount St. Helens, the most seismically active volcano in the Washington and Oregon Cascades. Earthquake rates have been steadily increasing since March. The cause is probably new magma, rising upward.